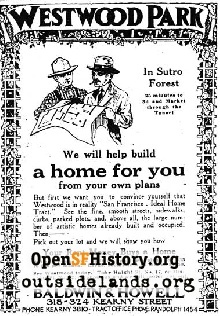 Westwood Park was created in 1917, when Baldwin & Howell, one of San Francisco's oldest real estate firms, secured an undeveloped tract of land. 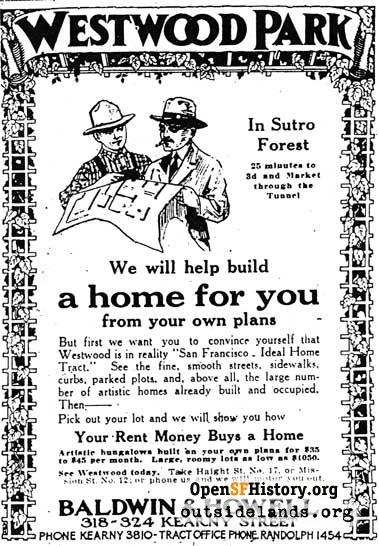 Westwood Park was created in 1916, when Baldwin & Howell, one of San Francisco's oldest real estate firms, secured an undeveloped tract of land to create "a modern residence park which was to be a model home community for the family of average means." 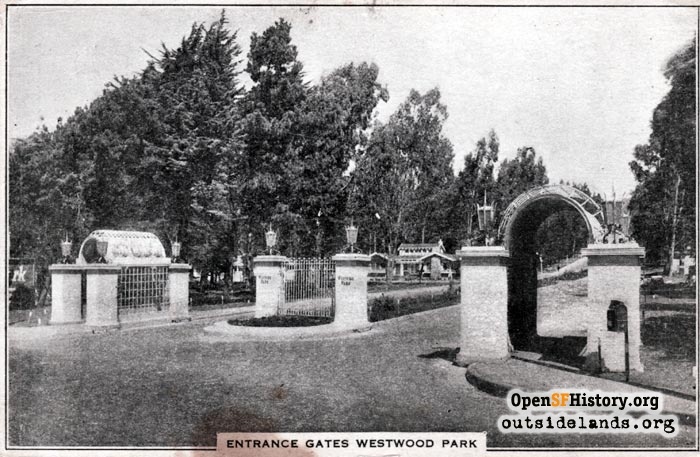 The Westwood Park Association was incorporated on March 22, 1917 to serve the community of 650 homes in Westwood Park. The Association continues that mission today, helping to maintain the historical heritage and distinctive character of the neighborhood. 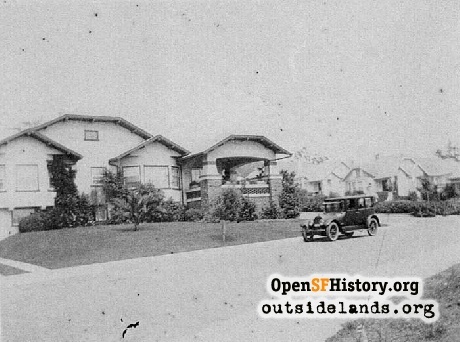 San Francisco was expanding rapidly in the early 20th century and the prime land for development near the Bay was becoming crowded with buildings. The dramatic hills of the City offered great views to those hardy enough to climb them but, a hill, as Samuel Johnson's dictionary defines it, is "an obstruction between two cities." The local hills, according to a San Francisco Chronicle editorial of 1910, "obstruct what should be great arteries of traffic." Traffic of the day, especially horse-drawn wagons, could not climb over the hills so arteries were opened by the construction of tunnels. 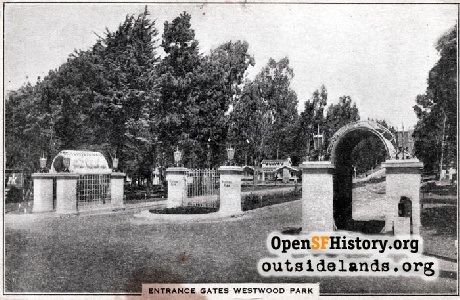 Westwood Park became possible when the west-of-Twin Peaks territory was captured, at least to the trolley trade, with the opening of the Twin Peaks Tunnel on February 3, 1918. Within a week, real estate developers like Baldwin & Howell consulted their business curves and called the tunnel "a complete success." 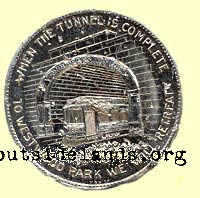 As Mayor "Sunny" Jim Rolph remarked at dedication ceremonies for the Twin Peaks Tunnel on July 14, 1917: "Westward the course of Empire takes its way." For which, a contemporary news story says, "Mayor Rolph was rewarded with a kiss by his better half, and then the crowd dispersed." The crowd west of Twin Peaks, however, continued to grow and has never dispersed. With the west of the City provided with quick and cheap transportation to the heart of the business center, A.S. Baldwin began to chop down the eucalyptus trees and to find engineers, architects and contractors to design and build Westwood Park. John M. Punnett, a well-known engineer, designed the neighborhood to take advantage of the beautiful panorama of the location. Except for the esplanade or "parked boulevard" of Miramar Avenue and the short intersecting streets near the center, he designed Westwood Park with "not a single straight street." The integration of two large oval curving streets at the heart of Westwood Park were carefully plotted to ensure that there would be little of the confusion that makes a tract of winding streets a place to get lost. These distinctive oval shapes also make it easy to locate Westwood Park on a map or an aerial photo. Charles F. Strothoff was the architect of nearly 500 of the 650 houses in Westwood Park and the Nelson Brothers were the contractors who built about 350 of the houses. Most were built over the course of five years, from 1918 through 1923. World War I ended in 1918 and Westwood Park was completed rather quickly, in spite of the high cost of building materials in the boom following the war. The bungalow was the style of home selected for the neighborhood. 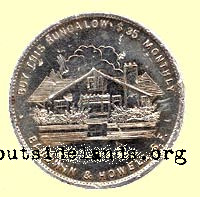 Bungalows were a very popular style of house in America in the early 1900's because they were unique, practical, artistic and moderate in cost. A reflection of the arts & crafts movement resurgent at the time, the single family detached bungalow allowed for substantial variety in design and efficiency. A walk around Westwood Park highlights Strothoff's creativity and ingenuity of design in the wide variety of homes. Unlike tract homes built after World War II and the rise of the automobile culture, featuring a garage prominently displayed in the front as a focal point of the house, the bungalows of Westwood Park emphasize the craftsman details of the house. The MacRorie-McLaren Company acted as landscape designers and gardeners, but the realtors Mason-McDuffie put in the median plants and flowers on Monterey Boulevard. Famed San Francisco photographer Gabriel Moulin was brought in to take promotional shots of the building and development. Lots began at $3,000, and the bungalows constructed had to be picked by the buyers from a catalogue (created by the contracting firm of Barrett and Hilp). I am in good company. Fourteen of the best bungalow 'specialists I know of are trying to outdo each other in artistic design, ideal arrangement and substantial construction. That keeps me keyed up to do my best and accounts for nearly 250 attractive homes already completed.